related parts weigh 40 pounds and the effective weight of the bolt will be taken as 10 pounds, giving a total weight of 50 pounds for the recoiling parts. It will also be assumed that unlocking occurs 0.001 second after the projectile leaves the muzzle of the gun. 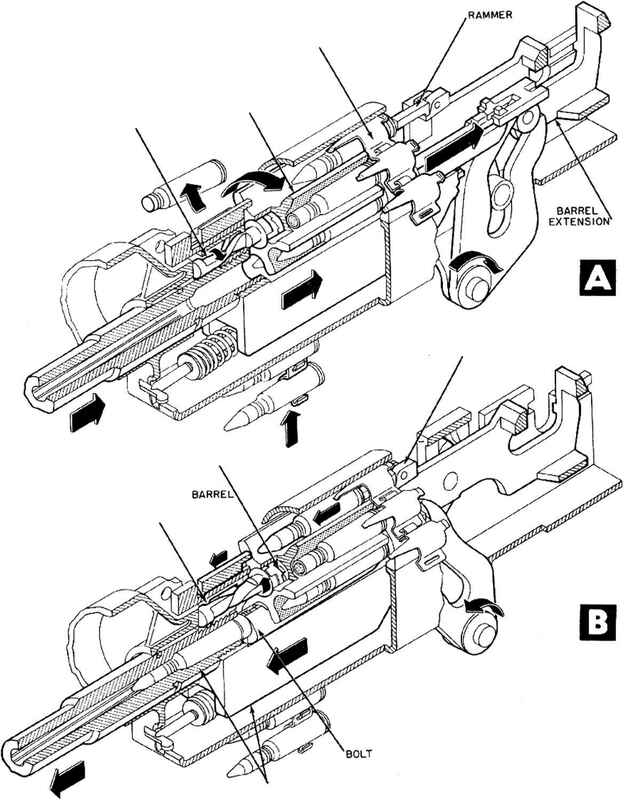 After the analysis is completed in an actual problem, it may be desirable to modify the assumed values to adjust the performance of the gun. However, the same method of analysis will apply and the assumed values will serve here to illustrate the method.